""A very readable and provocative tale of early Franco-American relations that will please some and infuriate others."" 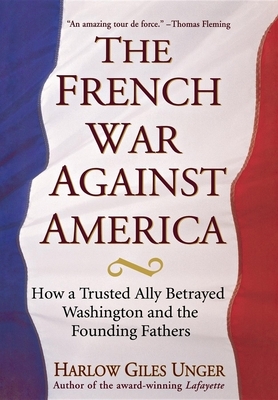 ""Harlow Unger has written an amazing tour de force revealing France's two-faced role in the American Revolution and the early Republic. The book also has enormous relevance for contemporary politics. Don't miss it."" ""Harlow Unger has cornered the market on muses to emerge as America's most readable historian. His new biography of the Marquis de Lafayette combines a thoroughgoing account of the age of revolution, a probing psychological study of a complex man, and a literary style that goes down like cream."" --Florence King, Contributing Editor, National Review. HARLOW GILES UNGER is author of the award-winning Lafayette, John Hancock, and Noah Webster, all from Wiley. A veteran journalist, he was an editor at the New York Herald Tribune Overseas News Service and a foreign correspondent for the Times and the Sunday Times (London). After many years in Paris, he now lives in the United States.